Have you heard the buzz about Coworking? The concept’s been around for a few years now; but with time, as more and more people learn what an incredible workspace model Coworking is, the concept is growing like wildfire. So what, exactly, is Coworking? This writer’s favorite part of that definition is the last bit about sharing ideas and knowledge. Networking is set to “default” when working at a Coworking space — any time you grab a cup of coffee, sit down at a Coworking table, attend a community event, or even walk in the front door, there’s a strong chance you’re going to bump into somebody who’s doing something of interest. Coworking spaces are great for making friends, finding business partners and clients, and finding the inspiration and ideas to take your business to the next level. We mentioned that the concept of Coworking is growing like wildfire. As the chart shows, they’re forecasting that the number of global Coworking spaces will grow from 2017’s 14,411 to just over 30,000 in 2022. Furthermore, they’re forecasting the number of Coworking members to grow from 2017’s 1.74 million to 5.1 million in 2022! But let’s reel it in for a moment — away from the global Coworking movement and focus on the local movement. More specifically, Gather. We’ve included a nice collection of some photographs of our beautiful location in Short Pump, outside the West End of Richmond. We’re proud of the beauty and elegance of each of our locations, and how each location is tailored to its respective city or neighborhood. Sure, we want you to work out of our space, but more importantly, we want you to be as happy and productive as possible. So besides amenities and community events, what else can we do to achieve that goal? Design and build for you an incredible atmosphere! So Coworking is on the rise, and legions of new Coworkers are signing up, but who is a Coworker? Why, it’s you, of course! And your friend who works for an international corporation. And your other friend who works for a small startup. Oh, yeah, and that other friend who works for a small nonprofit doing wonderful things for your city. In short, Coworking is for everybody. If you’re in the Richmond area and would care to tour one of our locations, click here. If you’d like to follow the story of Gather 757’s development in Norfolk, follow @gather757 on Twitter, Instagram, and Facebook! 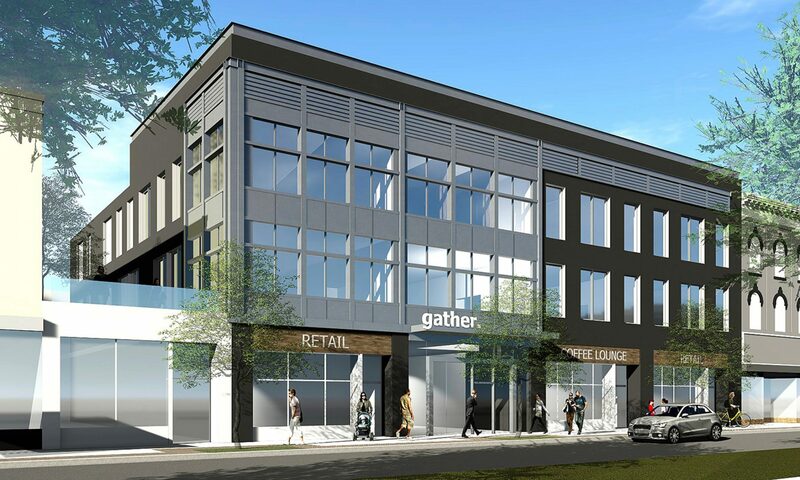 Gather is a Coworking office with locations in downtown Richmond, and the Short Pump and Scott’s Addition districts of Richmond. And soon, Norfolk! We offer a collaborative space where startups, entrepreneurs, work from home professionals, and small businesses can work, meet, and collaborate. Our memberships are designed to meet the needs of all types of business professionals. Rent a dedicated desk, state-of-the-art conference rooms, private offices, or simply co-work! On top of that, you’ll get all the benefits of a regular office with access to our free wifi, copiers, printers, kitchen, gym, and all the coffee you can drink! Next PostNext Get to know Gather: Community Manager Samantha Ramos!